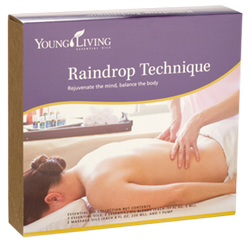 The Raindrop Technique is a method of using vita flex, reflexology, and massage techniques, combined with essential oils applied on various locations of the body to bring it into structural and electrical alignment. It is designed to bring balance to the body with its relaxing and mild application. It will help align the energy centers of the body and release them if blocked. It is done without using hard pressure or trying to force the body to change. BOOK a Rain Drop Therapy Session – Contact Us Today!